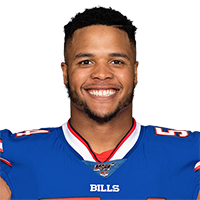 Analysis: Yarbrough has averaged roughly 25 defensive snaps per game for the Bills over the past two seasons and was a no-brainer to keep around, given the low price tag that accompanies him as an exclusive-rights free agent. Analysis: While the level of Yarbrough's tender has yet to be disclosed, the point is that the reserve defensive end will stick with the Bills in 2019. The 25-year-old made 29 tackles without a sack across 15 games last season, playing 30 percent of defensive snaps in a rotational role. Yarbrough was a healthy inactive for Sunday's finale against the Dolphins. 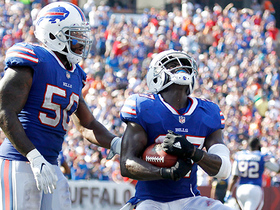 Analysis: The Bills have been giving fellow defensive end Mike Love an audition lately with an eye on next season, which has come at Yarbrough's expense. After working his way from an undrafted free agent in 2017 to a roster spot last season, Yarbrough took a step back in 2018 in playing time and almost every statistical category, finishing with 29 tackles and no sacks as a reserve lineman. He may have to work hard this offseason to keep his spot on the active roster. 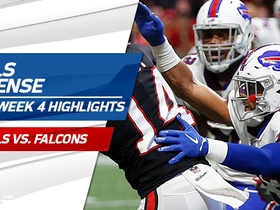 Check out the defensive highlights from the Buffalo Bills' win over the Atlanta Falcons in Week 4. 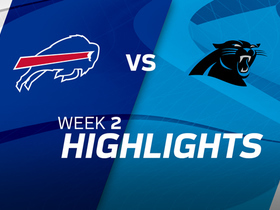 Check out highlights from the Week 2 matchup between the Buffalo Bills vs. the Carolina Panthers.